Matched with a deluxe 15.75 inch (40 cm) walnut and maple board. Complete with a wooden chess pieces storage box. 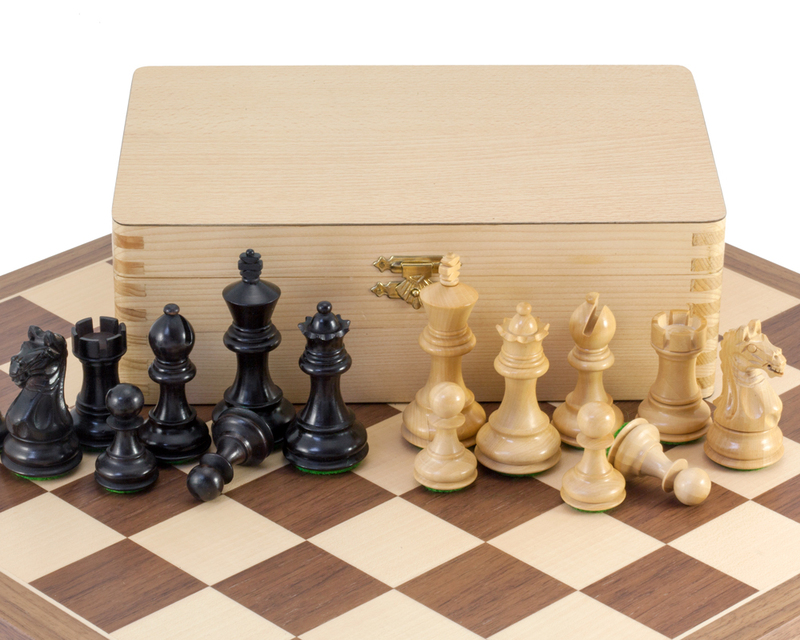 The Fierce Knight Chess Set bundle is far and away the best value product on the Regency Chess website. Everything about this set has been made to uncompromising quality standards. 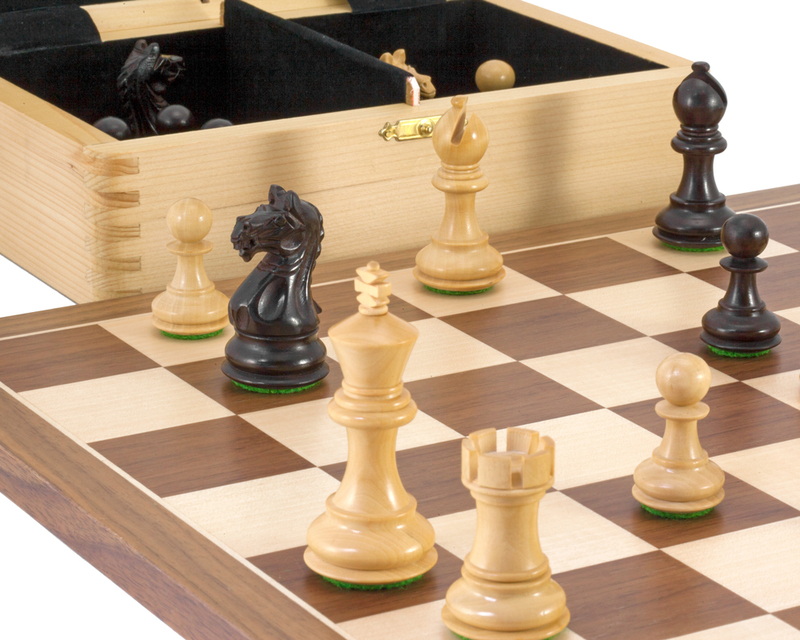 The chess pieces are made from ebonised boxwood, which creates a convincing ebony look, are double weighted and feature a 3 inch king height. The level of detail on these chessmen is astounding for the price. The overall finish is what we would expect to see on sets closer to £120, and that's before we have added the board! If you think the photographs of this chess set look impressive just wait until you see it in the flesh; it is every bit as perfect as it seems in the product shots. 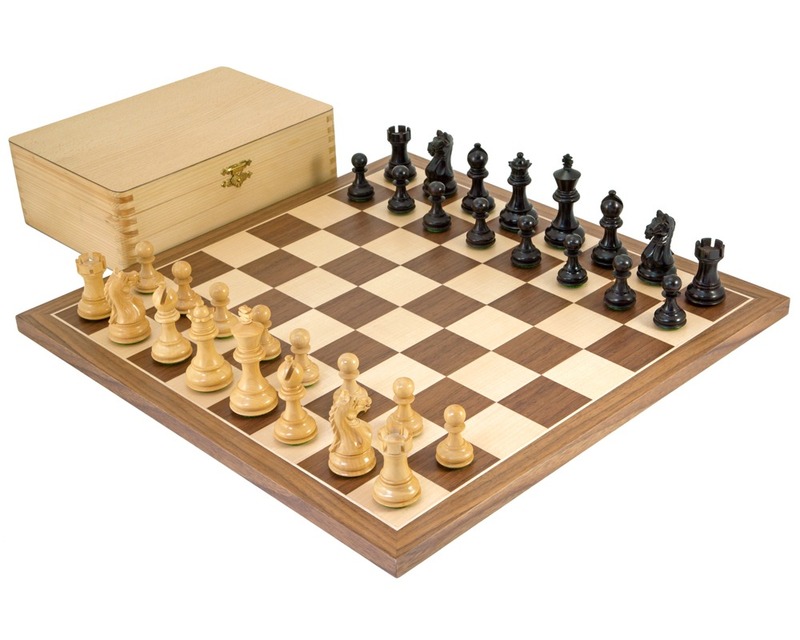 The chessmen are perfectly matched with a deluxe walnut and maple chess board that was manufactured to precise specifications just outside of Barcelona, Spain. 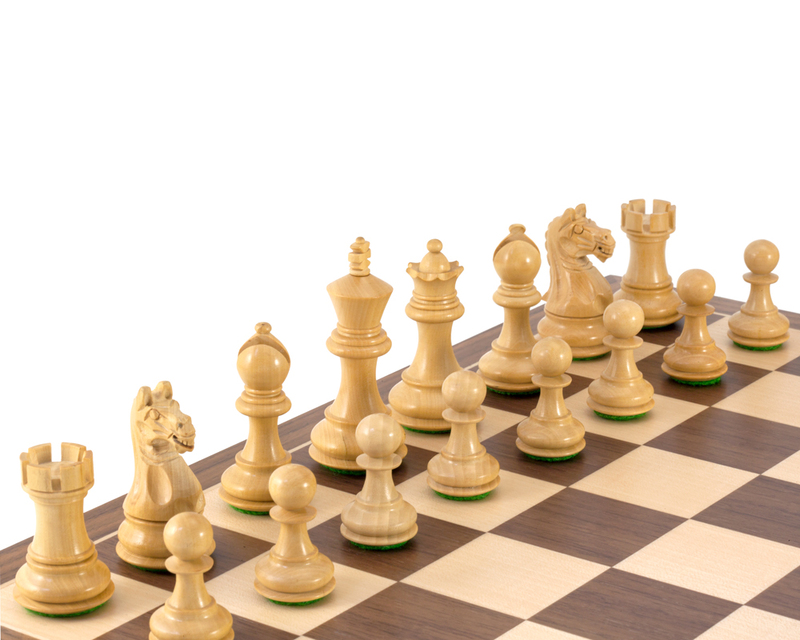 "Impressed with quality of the well detailed chess pieces and board. Delivered promptly and well packaged. Very happy with purchase." "Bought as an upgrade to a first ‘real’ chess set, to improve the learning experience with my 11 year old son, after starting on a small cheap glass set that wasn’t very nice to use. I’m so impressed with this set. The larger size, the weighted pieces, the beautiful wood, the soft cloth bases... Simple but quality touches that give the gameplay a classy feel. As the saying goes... ‘Quality never goes out of style’!" "Beautiful set with high quality finish. Good VFM in my opinion." "Excelente producto. No sólo llego en perfecto estado, sino que es de una calidad excelente. La relación calidad precio es inmejorable y la atención de la empresa estupenda"
"This set has an interesting knight, with the bared teeth, if you have been bitten by a horse. A bit different from standard Staunton without being radical." "Brilliant quality and not too expensive!" "Lovely set, it is superb quality and looks great when set up. Well worth the money." 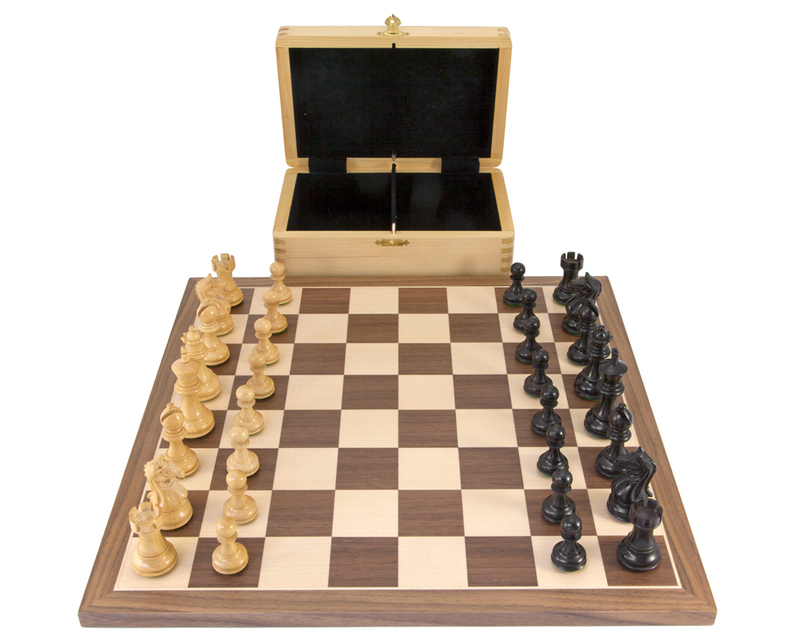 "This is a lovely chess set I bought as a present for my boyfriend. Delivery time was fantastic, less than 3 days! Excellent customer service and fabulous quality. I would highly recommend everything about this site!"